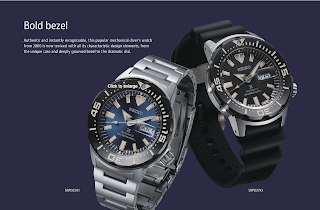 HOROLOGY CRAZY: Seiko Monster 2019..
Seiko released two new Seiko Monsters at Basel 2019 and it looks like the Seiko Monsters will be making a return to the world market (I hope) and not a Thailand or Japan only edition. 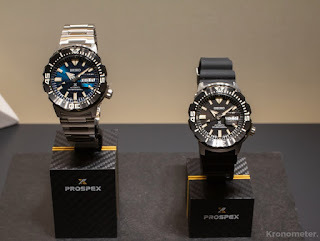 The monsters are the Seiko SRPD25K1 and SRPD27K1. These are the two new Seiko Monsters. However it is unclear if these will be Gen4 monsters or a completely new line. Gen3 monsters is powered by the 6R movement. Both the watches will be powered by the Seiko 4R36 movement featuring the day date complication. The crystal is Hardlex with the magnifier over the day date window. The watch features a new design hour hand and Ecru lume. The bracelet is new as well and it now have the end links. The rubber strap is also new. 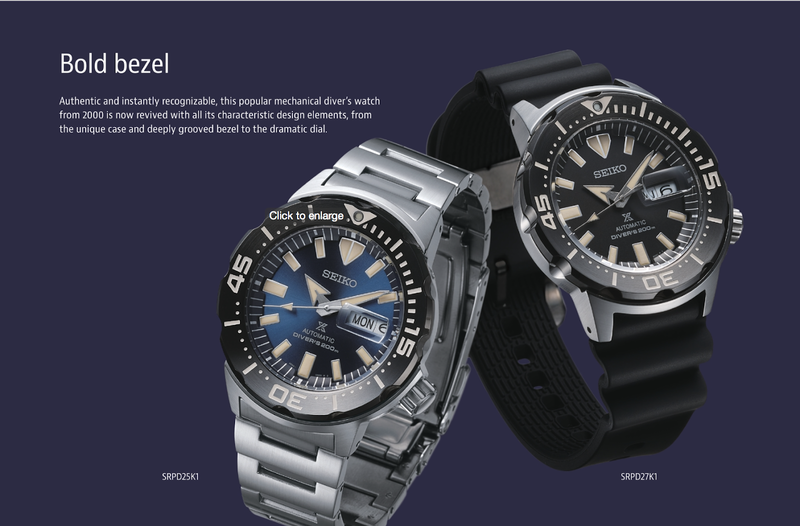 The watches is expected in July and cost around the USD550 mark.